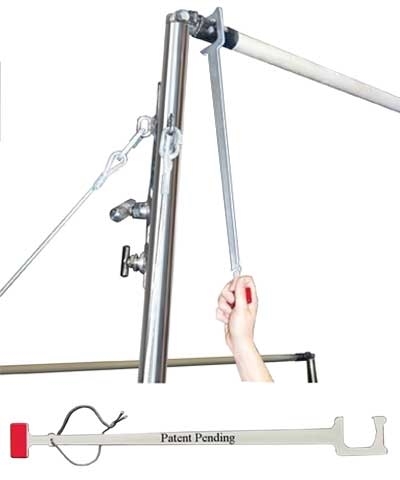 This is a tool designed for Gymnastics coaches to adjust the upper bar of the uneven bars or to still the rings from swinging. No more reaching, stretching, jumping, or climbing. With the Gym Bar Adjust you can easily, quickly, and most important, safely adjust the upper bar to the desired position. Manufactured in the USA from aircraft quality billet aluminum.